Would be good for breakfast, lunch or supper and great for kids as it is "portable". . I found this recipe over at Pots & Plots and adapted it for our New Years Dinner. The original recipe calls for 2 boxes of Jiffy cornbread mix, but my son is not a big fan of cornbread, so I used 1 box of cornbread and 1 box of baking mix. 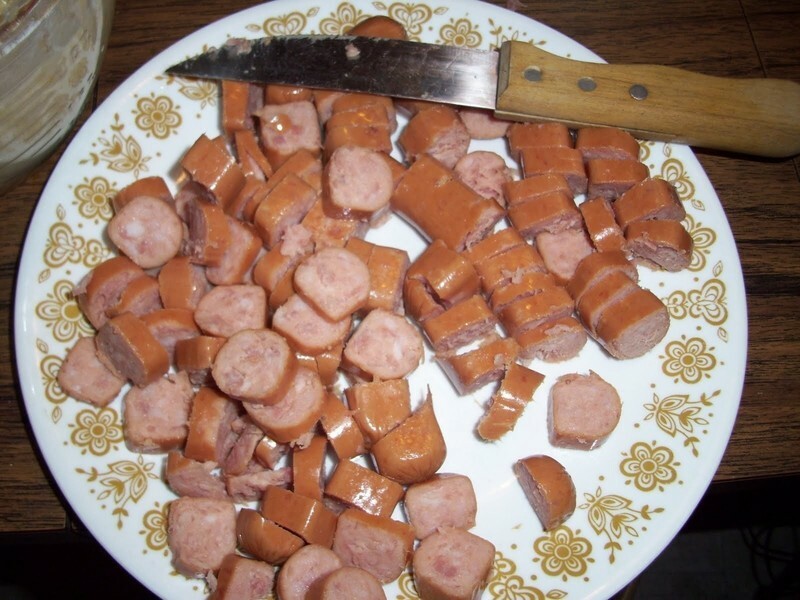 Also I used Smoked Links instead of hot dogs. Preheat oven to 400 degrees. 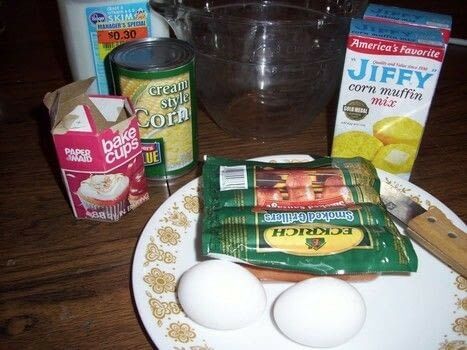 Mix the Jiffy mix, creamed corn, eggs, and milk until well combined. 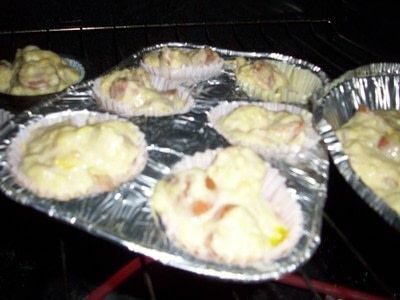 Put the mixture into the baking cups or muffin tins sprayed with non-stick coating until it is half way full. 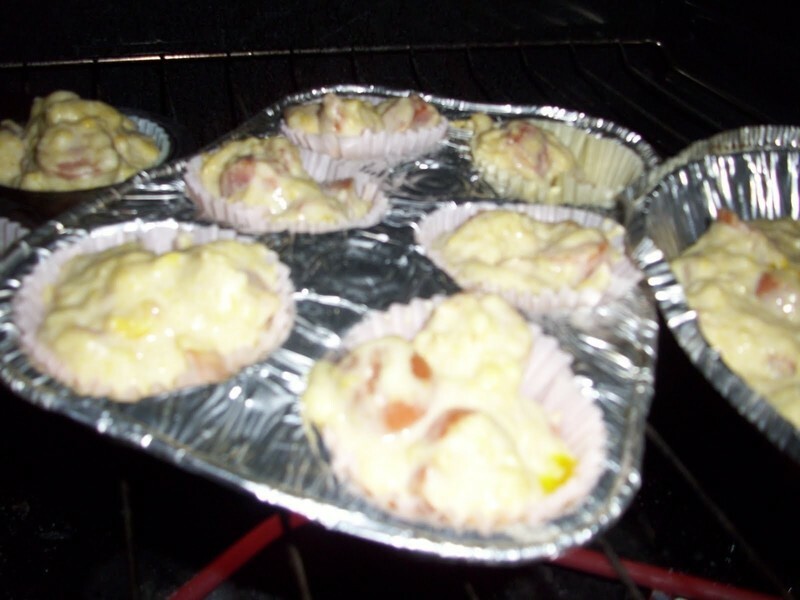 Cut up the hotdog or smoked links into bite sized pieces and put several pieces into each muffin cup. 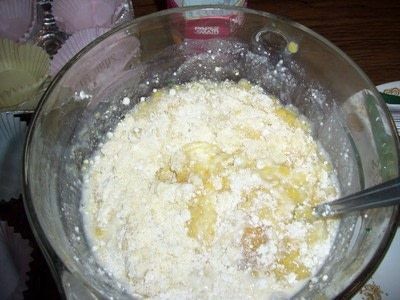 Put in the oven and bake for 15 to 20 minutes. Remove from oven and allow to cool a few minutes before serving. 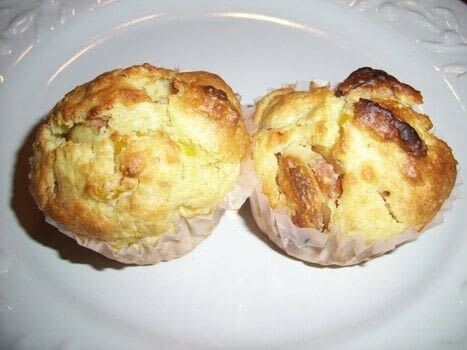 Store any unused muffins in the refrigerator. I would try broccoli and jalapeno, for a veggie version. My fella doesn't like corn, but loves cornbread. So replaced the creamed corn with broccoli bits and jalapeno juice. Came out really well.